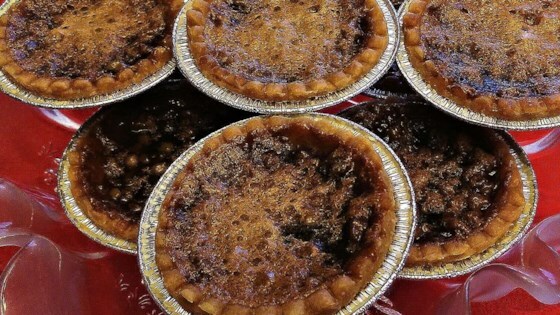 "This is my mother's butter tart recipe and I think it is the best one. Hope you agree!" Preheat oven to 350 degrees F (175 degrees C). Place pastry shells on a baking sheet. Beat butter with an electric mixer in a bowl until smooth and creamy; beat in brown sugar and honey. Beat egg, lemon juice, water, vanilla, and salt into butter mixture just until combined; stir in raisins. Fill tart shells 1/2-full with butter mixture. Bake in the preheated oven until filling is bubbly and pastry is golden, about 30 minutes. If making homemade pastry, you can form shells in a muffin tin.